This book is as the title suggests. 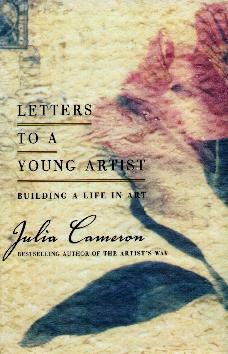 Author/artist Julia Cameron receives mail from budding artists on how to develop creativity. Many people have artistic ideas and dreams but endure the struggle to produce anything satisfying. There are zillions of reasons to put off doing our art (I'm a culprit) when we could be learning and gaining ground in the meantime. Her subject, an "artist", writes to her for ideas and these are her honest and constructive replies. Addressed to "X", you start to get the gist of what is being asked of Ms. Cameron. Her answers are direct and insightful but are sometimes met with resistance - X's "putting off" their art. We make all sorts of excuses as to why we're not producing, yet still want to be that particular kind of artist/writer/sculptor, etc. Getting great advice from someone who's been through it all, and learned how to make it work, is a blessing. If you're struggling (and juggling) two or more artistic/creative endeavors at once, and not being able to work constructively at either, then read this little book. We may not all have a Julia Cameron to talk to, so the wisdom you get vicariously from this book, will surely be a source of encouragement. Conclusion - Great for any artist going through conflict - you're not alone.